Successful Executives & Entrepreneurs in our seven or eight-figure British Broadroom mastermind group enjoy cross-pollination of ideas from other industries while seeking solutions to their business challenges. The British Boardroom mastermind group is in a strictly confidential setting of like-minded people all with the same goal of improving growing their business. The FTSE 100 Leaders working with Moe Nawaz consider him to be their personal secret weapon of choice. There isn’t a more effective, high impact, low visibility way to multiply executive synergy than engaging Moe around your highest value opportunities and problems. It use to be lonely at the top, before the Peer British Boardroom mastermind group. As proved, two minds are better than one. Better yet, when you bring twelve already successful minds together, and they are working on a common goal, a synergy happens within the group that could not happen with any one person alone. In other words, “The whole is greater than the sum of the parts.” The product of the British Boardroom mastermind group is the synergy of twelve like-minded non-competing already successful business leaders sharing ideas and learning from each other. The seven or eight-figure successful leaders of the British Boardroom mastermind group meet once a month at the Ritz-Carlton Hotel in Mayfair, London or The House of Parliment in Edinburgh with a focus on achieving their goals to transforming their businesses to eight and nine figures by collaborating and holding each other accountable till they make their seven-figure business into eight-figures / eight figure to nine-figure business. 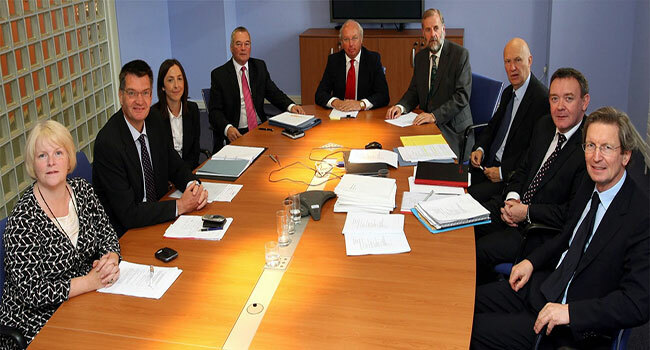 The primary goal of the seven and eight figure British Boardroom mastermind group is to benefit from the “synergy of the group” and to grow each business to an eight-figure business. Collaborative learning draws out the insight and wisdom of each member’s diverse background and experience. This results in a mix of ideas that benefits the whole group. Studies have shown that successful business leaders learn much faster and better when learning from each other provided the group consists of members being of equal size in revenues or earnings. Confirmation: The British Boardroom mastermind group serves as your informal board of directors who listen, advise, challenge and validate your experiences. Besides obtaining new ideas and groundbreaking business information, you benefit from the synergy with other executives and discovering fresh business strategies from other group members. The successful participants of such groups commonly see increased revenues in their businesses along with decreased company costs. Camaraderie: Joining the British Boardroom mastermind group widens your circle of the high level of contacts across diverse backgrounds and industries. Business alliances may be forged with other members. No one understands what you’re going through more than your fellow peer mastermind group members. As the group’s bond grows, you each become dedicated to the success of each other. Confidentiality: The peer mastermind group members trade solutions while respecting trade secrets. The assurance of confidentiality allows members to share information in a safe environment. They build strong bonds with other members and return to their respective work environments re-energised and revitalised. Accountability: At the end of each session, each member is asked to commit in front of the rest of the group as to their individual goals for the next four weeks. Each member is appointed an accountability partner to work with and is held accountable at the following month’s group meeting. The support you get from each member is far more valuable than you would or could get from your fellow directors or personal partner in life. Result Driven: Whilst there are other organisations who have tried to emulate what we have mastered, we are the only organisation who handpick, who we allow into each group. Every 90 days each member has to provide solid evidence that he/she has made at least 10 X the return on their investment in the group or they face being removed from the group. You see with us it is not about the money, it is about your success and the growth of each member of the group.The group can only grow if each member is growing, hence we have to remove members who are slowing the group down. This group is only for members who are dedicated to their own success and not a club where members hang out just for the joy of it. You have to be committed and dedicated to remaining in the group, that is not to say we don’t have fun along the way, because we do. As the mentor to millionaires from around the world and strategic advisor to FTSE 100 stock market listed company leaders, Moe has created one the most dynamic learning communities in the world through his peer-based mastermind groups. The entrepreneurs and leaders in his communities help each other to learn. Since Moe started running his mastermind groups, even by a very conservative estimate, Moe has increased participants’ revenues in excess of £760 million. Why not find out more about joining the British Boardroom mastermind group to grow your business safer and faster starting right now?